Children across the country are getting ready for a new school year. Before going back to the classroom, the American Optometric Association (AOA) recommends a check-up with the optometrist. Proper vision is crucial to the cognitive processes and a child's performance in the classroom. There are many activities that require optical skills, such as reading, writing and computer work, which students are required to perform daily. Despite this, studies prove that 86 percent of children begin school without ever having a vision check-up. Many times the problems a child suffers from in the classroom can come from vision difficulties. The number of students who have undiagnosed problems with eyesight is exceedingly large. Reports demonstrate that 60 percent of students identified as students with learning-disabilities actually suffer from undetected vision impairments. Your child will be much better off if you make it a priority to ensure your child's vision is up to par. Don't delay your child's first eye exam until kindergarten. Your child's doctor should perform a dilated eye exam to detect any serious eye problems within the age of two months. It's critical to find any issues at a young age, since children generally respond better to treatment when treated early. Furthermore as a parent, it's important to make sure your child is reading sufficiently. Generally, most preschoolers are excited to look at books and try and figure out words. Children that avoid books or reading may suffer from a vision issue. A complete vision examination by a pediatric eye doctor should be one of the tools used in making a diagnosis. 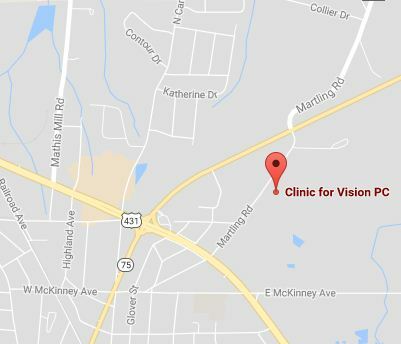 For a pediatric eye exam in Albertville, AL, call us to book an appointment. Remember that the earlier a vision difficulty is identified and treated, the greater the chances for successful treatment. And vision is a crucial component for school. If a child's vision is impaired, he will have a much harder time with assignments. Additionally new technological advances in the classroom, including using interactive SMARTboards, can also possibly exacerbate less obvious vision problems. Without healthy eyesight, children may struggle not only at school, but also mentally, physically and emotionally. This year, ensure your child a productive year in school, by making sure their eyesight is in perfect condition. Call us to book an Albertville, AL eye exam today.